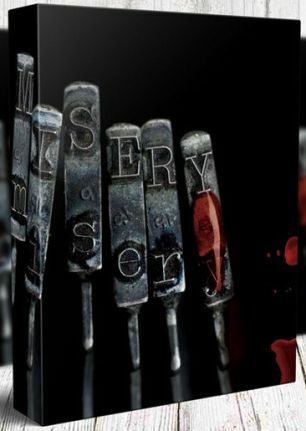 Originally published in 1987, Misery was nominated for the World Fantasy Award for Best Novel in 1988, and was later made into an Academy Award winning film starring Kathy Bates and James Caan, as well as an off-Broadway play of the same name. Misery’s protagonist is Paul Sheldon, a writer famed for his Victorian-era romance novels that revolve around the life and loves of Misery Chastain. Following the completion of his latest book, Paul is rescued from a near fatal car crash by his self-proclaimed #1 fan Annie Wilkes, who transports the writer to her home only to hold him hostage after discovering what Paul has done to Misery in his latest book. Annie forces Paul to write a new book modifying the story – no matter what it takes. Artist Gift Edition 7.5” x 10.5”, and feature eight new full-color illustrations by Rick Berry, whose critically acclaimed work includes the Donald M. Grant editions of The Talisman and Black House by Stephen King and Peter Straub. Smyth-Sewn binding. Full Imperial cloth covering. Two-hits Stamping on Front and Spine. Silk head and tail bands. Beautiful full-color wrap around dust jacket art by Rick Berry, only available on the Artist Gift edition. Housed in a custom printed slipcase. Signed by Rick Berry and Dave Christensen.